Professor Brenda McCabe (CivE) is among 20 new inductees into the Engineering Institute of Canada. Professor Brenda McCabe (CivE) has been elected a Fellow of the Engineering Institute of Canada (EIC). Each year a select number of engineers nationwide are chosen by EIC for this honour in recognition of exceptional contributions to engineering in Canada. Professor McCabe has a distinguished record of achievement and service as an educator and an administrative leader. In 2006, she was appointed vice-dean, graduate studies — the Faculty’s first woman vice-dean. In that role, she championed a new series of ELITE (Entrepreneurship, Leadership, Innovation, and Technology in Engineering) courses that are now integral to the MEng curriculum. 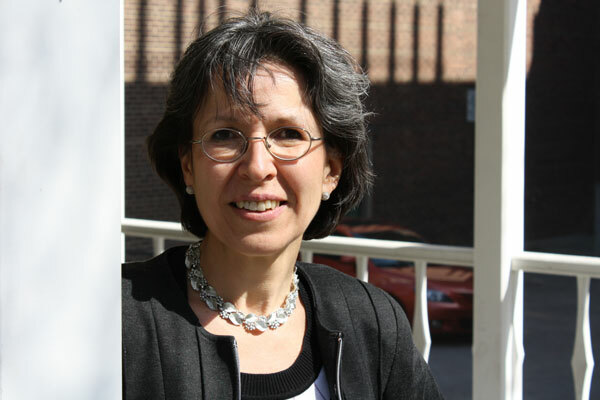 In 2008, McCabe was appointed chair of the Department of Civil Engineering — U of T Engineering’s first woman department chair. During her term, she worked to further increase the department’s profile, improve the student experience, integrate sustainability into the curriculum, revitalize the Gull Lake Survey Camp, and promote a sense of community amongst students, alumni, faculty and staff. Beyond the University, McCabe is a role model and mentor to young women in her field of construction engineering and a leader in her professional community. She has held several leadership roles within the Canadian Society for Civil Engineering (CSCE), serving as vice-president, technical divisions and committees and chair of the construction division. McCabe is a Fellow of CSCE and received their Award of Excellence in 2005. She has also garnered several awards for her contributions to engineering education, including the Senior Women Academic Administrators of Canada Recognition Award and the University of Toronto Joan E. Foley Quality of Student Experience Award.